Need help understanding your data? We've got you covered with our newest donor partner, Tableau. Is my organization eligible for Tableau's Donation Program? This program is available to qualifying* Canadian Registered Charities registered with the Canada Revenue Agency, Canadian nonprofits incorporated either provincially or at the federal level and Canadian public libraries with a library symbol from Library and Archives Canada. For a more detailed breakdown of eligible and ineligible organizations, check out Tableau's program details. To see if you are eligible for Tableau, log into your TechSoup Canada Account, click on the “My Organization” tab and check your eligibility status for Tableau Software. *Note: Schools and colleges are among the list of organizations that are ineligible for this program. If you are a school or college, please refer to the Tableau for Teaching and Tableau for Students programs. Eligible organizations can request a 2-year subscription to Tableau Desktop Professional - retail value of $2,000 - for only $77 through TechSoup Canada. Tableau Desktop Professional is data analysis and visualization software. 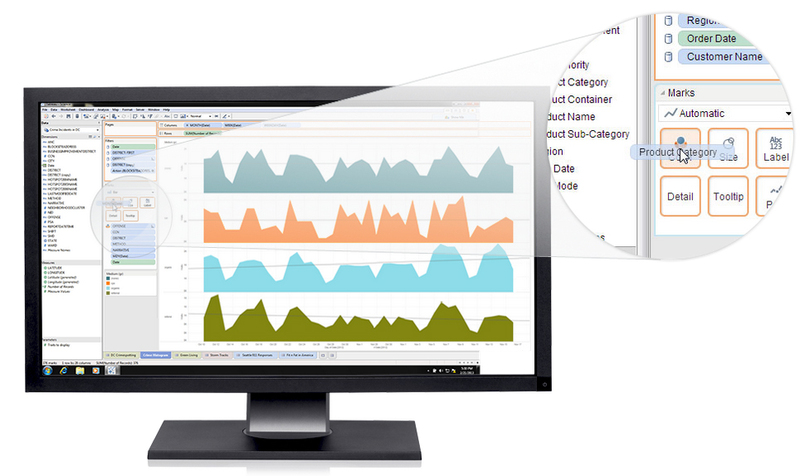 Through a drag-and-drop interface, it allows users to connect to most databases and spreadsheets to create and share interactive visualizations and dashboards. No programming is necessary! If you are comfortable creating spreadsheets, you should be able to use Tableau. Want to learn more about Tableau and see it in action? You can download a 14-day free trial to see if it's the right fit for your organization. How many donations of Tableau can I request? If your organization is eligible for the Tableau software donation's program, you can request up to 5 products per fiscal year (July 1st to June 30th) anytime you want (i.e., you can request all 5 licenses in one order or request them in separate orders throughout the year). See Tableau's program details for more information about eligibility and order cycles. Not registered with TechSoup Canada, but think you are eligible for Tableau? The first step is to register with TechSoup Canada, which is free and simple. Once we have processed your registration, we will let you know if you qualify for Tableau. Registering will also give you access to discounts and donations from up to 24 other donor partners, which include popular software such as office productivity suites, graphics design software, accounting packages and security programs. Find out how the donations program works for organizations like yours.